The three story Banff Ptarmigan Inn hotel was built in a classic post-and-beam style. The natural wood accents add a warm glow to the hotels interior design. The Banff Ptarmigan Inn boasts 134 hotel rooms. 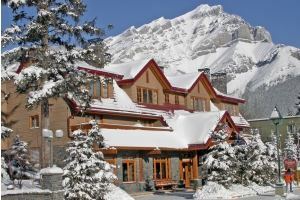 The hotel is located on Banff Avenue, steps away from Banff's downtown shopping and nightlife. There is also a heated underground parking included with your stay.